Henri Tajfel, who became one of the most famous and influential Social Psychologists of the twentieth century began his life in Poland. Born into a Jewish family, (and originally known as Hersz Mordche), he later pursued third level studies in Chemistry 1937-1939 at Toulouse University and at the Sorbonne in Paris. The course of his life there, in the later nineteen-thirties, was overtaken by events, in the form of pan-European political tensions connected with the rise of fascist ideologies in several states - not least in Germany where Adolf Hitler was the leader of a so-called National Socialist movement. Henri Tajfel joined the French army and was made a prisoner of war. In his case this gave rise to an extreme dilemma - he knew himself to be of Polish Jewish background, and he knew that under Hitler's leadership Jews in general and Polish Jews in particular were persecuted severely. Tajfel agonised therefore over whether or not he should admit to his captors that he was Jewish. He seems to have felt that, whilst there was an undenible risk to his life if he admitted his background to his captors, a yet more extreme hazard would arise if the authorities 'discovered' his background by themselves. In the event Henri Tajfel did make it known to the prison authorities that he was Jewish, (and claimed that he was also a French citizen), but was thereafter allowed by them to remain in custody along with other French prisoners of war. After the cessation of hostilities Henri Tajfel became involved with organisations working with refugees and concerning themselves with re-settlement. During a visit to England escorting some Jewish children who had been offered hospitality by English Quaker families he met a young woman who later became his wife. This young lady was also Jewish and was originally from Germany but had managed to reach England as a refugee prior to the onset of the second world war. 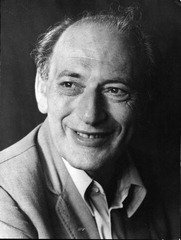 Tajfel had found his studies in Chemistry had not been sufficiently absorbing to lead to his wanting to continue in that field and he sought a change of direction. This took the form of taking a degree in Psychology in London beginning his studies as a part time student in 1951, at which time he was in his early thirties. Henri Tajfel was one of the very few persons to be selected to receive assistance under a scheme in England where finance was made available to outstanding candidates such that they could pursue study or training - having won a competitive scholarship for mature students with an essay on the subject of 'Prejudice'. He had been greatly impacted upon by his own experience during the recent conflict and was all too aware that he had lost many family members and friends to an appaling scheme of genocide which had, in the form of some six million fatalities, largely destroyed many Jewish communities of mainland Europe. Henri Tajfel was consequently very interested in investigating the basis of a prejudice that could lead to such an extreme outcome. As a student of Psychology, however, he entered into an academic world which investigated moreso into the behaviours of laboratory rats than into trying to appreciate the basis of wider human actions. Where Psychology did look towards Human Understandings it also tended to focus on the individual rather than the group. He gained a first class degree then worked as a research assistant in Durham University and, in 1956 , moved to Oxford University, where he stayed as a lecturer in social psychology for 11 years. Tajfel would often say that his work with refugees and re-settlement was the most important achievement in his life and, quite possibly arising out of those years of experience, it was to be his own career as a Social Psychologist that contributed greatly to the emergence of an acceptance of the importance of the study of human groups by academic psychologists and by wider society. Whereas there had been an acceptance that prejudices and discriminatory behaviours were attributable to quirks of personality in individuals or to reactions to authoritarianism by individuals Tajfel had reason, based on the treatment of european Jews by the nazis, to suspect that groups of people could behave with prejudive and discrimination towards those they saw as belonging to other groups that they found cause to criticise, dislike or condemn. Studies that he led when based as Professor of Social Psychology from 1967 at Bristol University, England, in the late nineteen-sixties early nineteen-seventies where English school boys were shown to discrimate, based on a very flimsy and objectively irrelevant sense of group membership, against a perceived outgroup have had a very wide and lasting influence in Social Psychology. In Tajfel H, Billig M G, Bundy R P & Flament C. Social categorization and intergroup behaviour. Eur. J. Soc. Psychol. 1:149-77, 1971. [University of Bristol, England, and University of Aix-Marseille, France] Tajfel and his colleagues set out to investigate the minimum conditions necessary for the establishment of a sense of group membership that would subsequently act to provide a basis for in-group / out-group discriminatory behaviours. Michael Billig later went on record as stating that in this study Henri Tajfel was investigating "How is genocide possible?" This study led to the presentation, by Henri Tajfel, and his team of so-called Minimal Group Paradigm studies. Under this paradigm, a number of assumptions, concepts, values or practices were accepted in order to better allow a view of reality in relation to the onset of human group formation and of the appearance of discriminatory behaviours that were, in Tajfel's view, directly linked to such group membership. This paradigm was originally planned to provide a baseline in order to test subsequently the necessary and sufficient conditions for in-group favouritism and out-group derogation. These Minimal Group Paradigm studies led fairly directly to the development of a widely influential Social Identity Theory by Henri Tajfel and John Turner in 1979. Henri Tajfel's career and discoveries have been of the first importance in influencing the development of the accepted fields of study of Social Psychology. Many persons who were trained by Tajfel, or who trained under those who were themselves influenced by Tajfel, hold prominent academic positions in diverse locations across the globe. The importance of Social Identity Theory has been accepted by politicians and legislators with implications for the formation of governmental policies.